Rachel Foster is concerned with showing the unseen. Her prints and letterpress pieces humorously play with language, sight, and tactility. 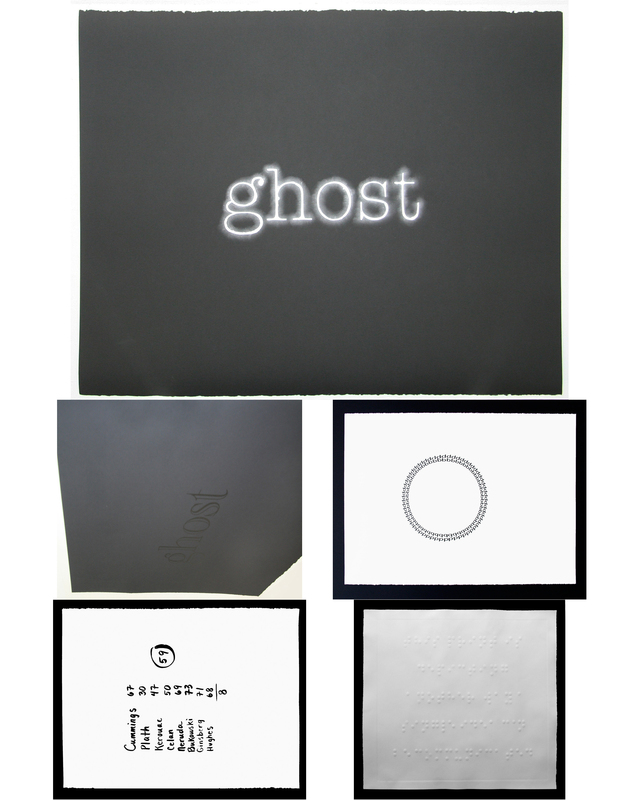 Ghost I and Ghost II work as a pair to conjure reflection and its “haunting” quality. Other prints, such as Dyslexia, deploy similar letters of the alphabet—b, d, q, p—to create a different kind of confusion and disorientation. In This is print, embossed Braille dots communicate: “This print is depicting another way a single idea can be communicated.” Through the use of very simple mechanisms, humor, and tautology, Foster pushes our understanding of the relationship between signs, senses, meanings, and readings.